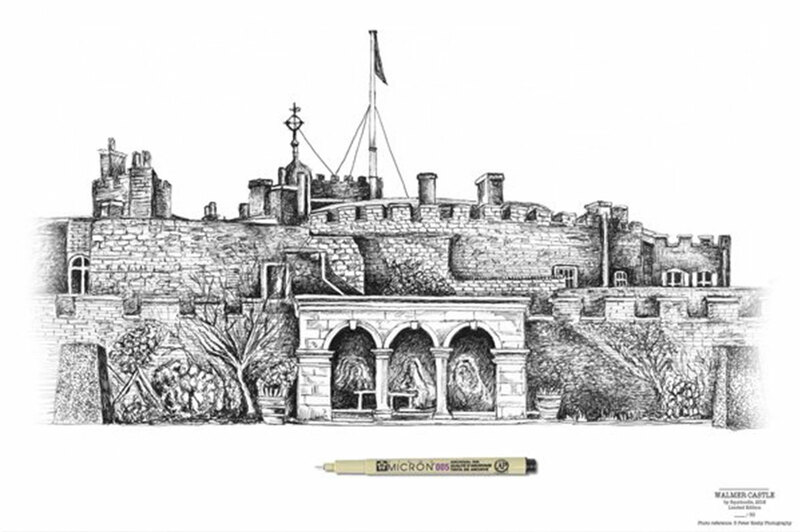 Deal based artist, Steve Turner aka Squidoodle has been working on a series of drawings of Deal landmarks. 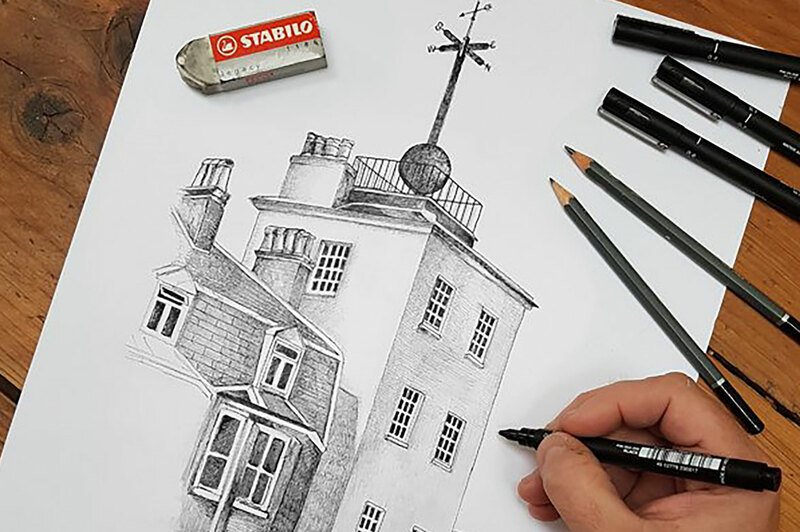 His detailed illustrations of familiar buildings capture character and charm of the sights we know so well. We caught up with Steve to ask him some questions about his new locally inspired works. Steve has a few prints to give away to some lucky winners. Find details of how to enter at the bottom of this post. 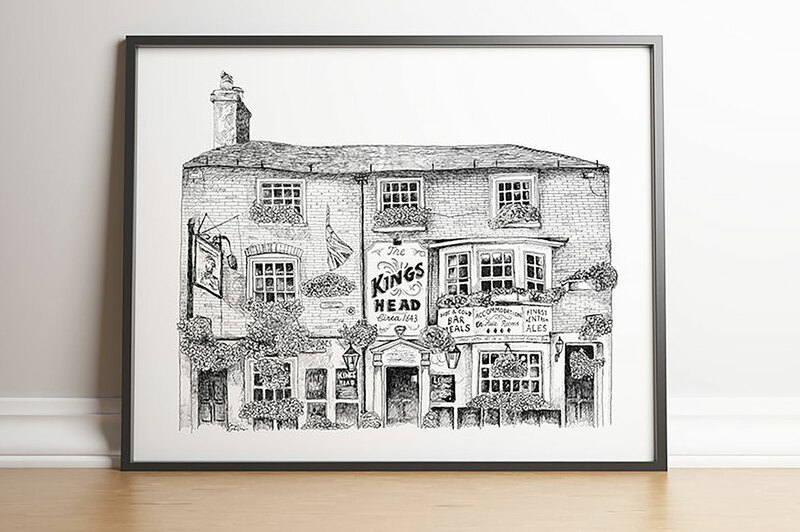 I think I started off by just picking an interesting building - The King’s Head. Originally I was gonna just do pubs - but then I kinda thought, as much as people love a pub, not everyone is gonna want a picture of one on their wall. So I changed the series into local landmarks - there are so many in Deal and Walmer I knew I’d never run out of interesting buildings that mean something to people. My favourite to draw was the old Regent Cinema - mainly because its such an iconic almost art deco looking building with amazing symmetry. I thought the timing was good as there are whispers its going to be renovated soon, so I wanted to capture it as I know it now. Slightly run down, full of cracks but still proud and imposing. 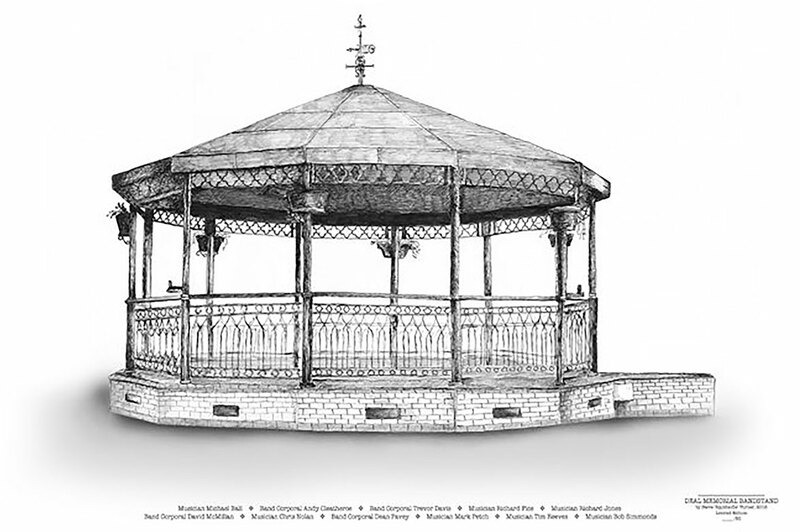 The response online has been great - I’ve had lots of suggestions for different drawings and the chap who runs the Bandstand Society has had a few prints of the Bandstand drawing. Obviously a lot of people have suggested the pier, but I can’t decide which way I want to draw it yet. I will though. I learnt that I love drawing old buildings - ha ha…. the good thing about them is you can use a lot of artistic license - I don’t draw people, mainly because I can’t stand the accuracy you have to achieve - get the nose slightly wrong and it won’t look anything like the person you’re trying to draw, but with a building, you can add or remove things and still achieve the desired result - want a window to look darker? Make it darker. Want to add cracks to brickwork… go ahead. You can almost create something new and satisfying and no one will care. I’m not sure the series will ever end if I’m honest. My plans are to exhibit the original drawings when I have enough, but in the short term I plan to have a stall somewhere when the weather gets nicer to sell the prints. Once I’ve covered all the traditionally interesting buildings, I’ll move onto the more unusual ones, as all architecture can be interesting to someone, whether it’s an attractive building like the Timeball Tower or a strange boarded up shop, if it makes me wanna draw it, I’ll draw it.